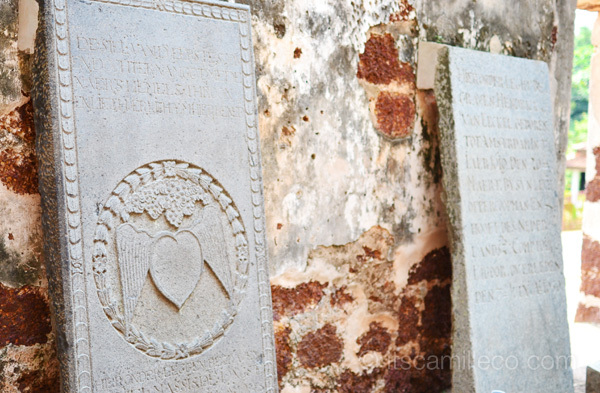 Before we left Malaysia, we made a quick stop at Malaysia’s World UNESCO heritage site, Malacca or Melaka. 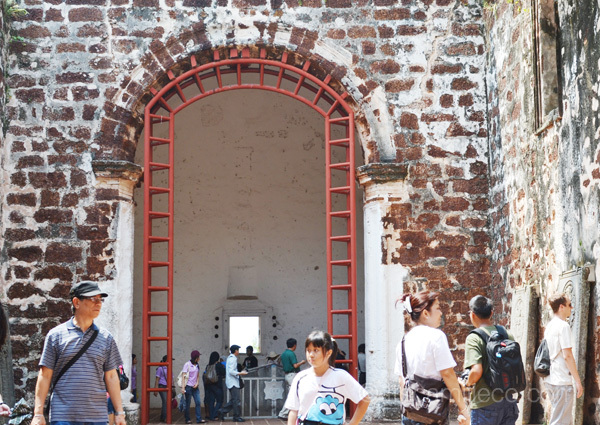 It was previously conquered by the Dutch, Portugese and British so you can just imagine how much history this place holds! The first place we visited was the Dutch Square where the Stadthuys, Christ Church and Clock Tower are located. 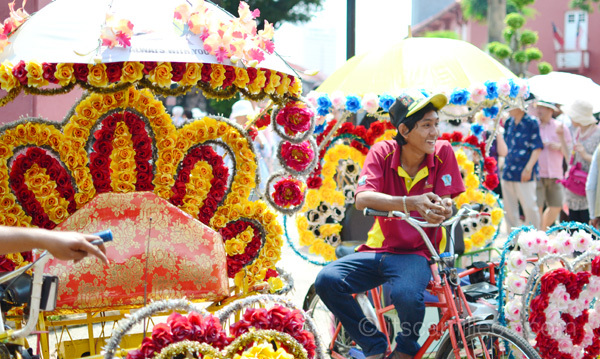 All around Malacca’s tourist spots, you’ll see these tricycles adorned with the most colorful flower arrangements. 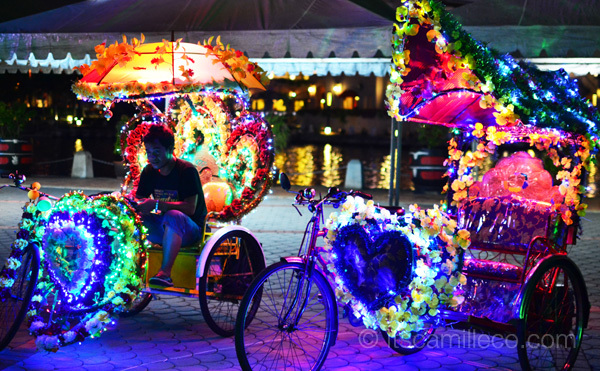 If the Philippines has jeepneys, Malacca has tricycles! This is the Christ Church, built by the Dutch in 1753. It took them 12 years to build this! 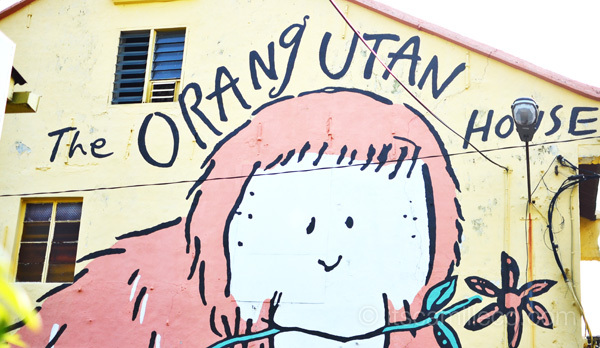 If you go around Malacca, you’ll see a lot of houses and buildings in this color. 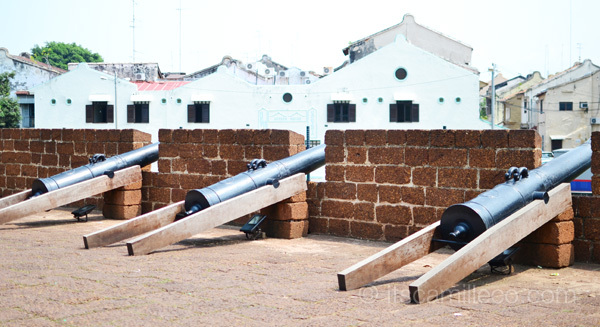 If I remember correctly, this was the fort the Portugese built. This was built by the Portugese and later taken over by the British. Old tombstones found inside the site. A candid photo of Cosmopolitan Magazine’s Happy Lopez. Andi goofing around before taking my outfit photos here. 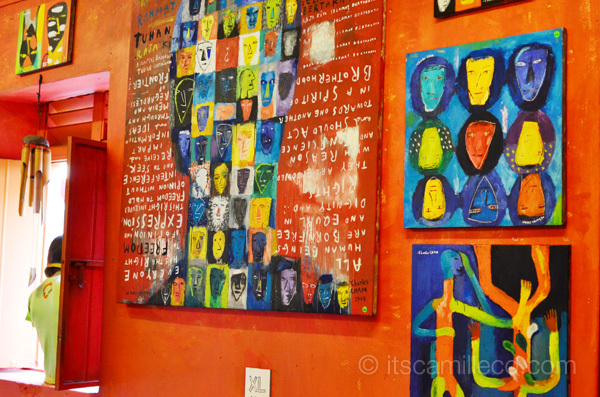 We also made a quick visit to the studio of one of Malacca’s most talented artists, Charles Cham. 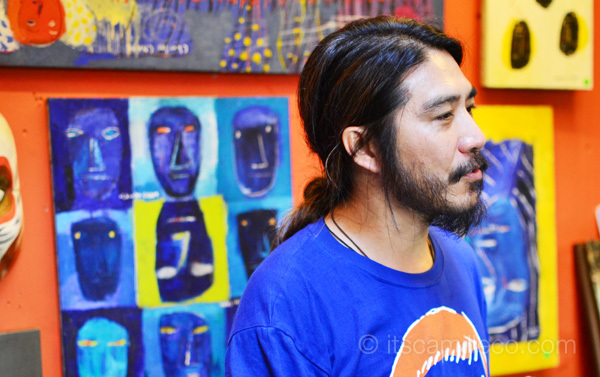 His studio is called the Orangutan House where he not only sells his paintings but also shirts that contain really witty and satirical statements. We actually met Charles Cham himself! 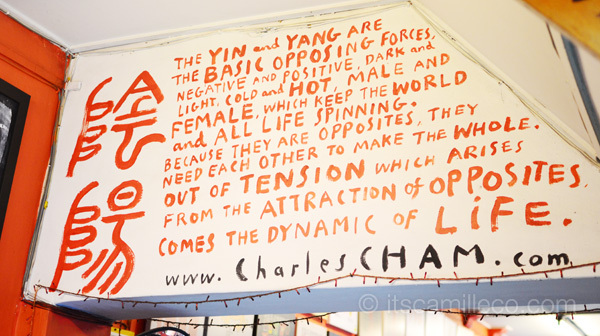 He explained to us how most of his paintings revolve around the idea of Yin and Yang. One of the paintings that really caught my eye was this in the middle. If I remember correctly, this was commissioned for the National Day of Malaysia. 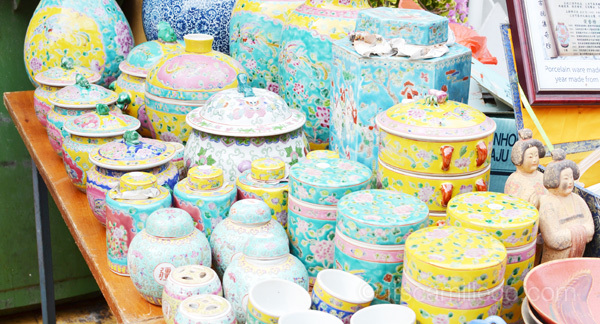 It symbolizes the many types of Malaysians that come together as one. You can see words of the Malaysian National Anthem written there plus the articles on equality and freedom of expression. 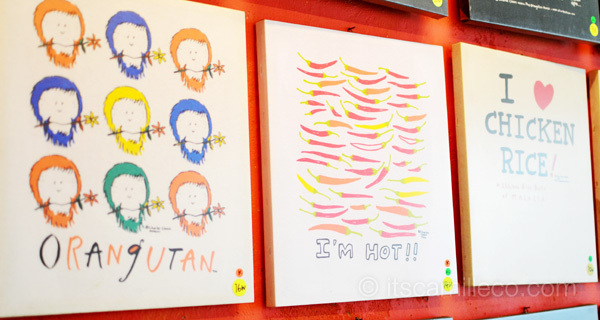 Here are some more of his paintings. 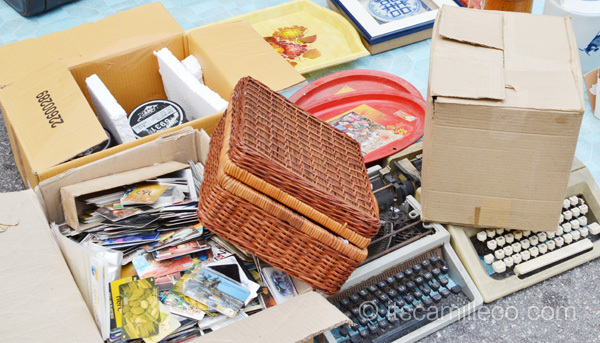 Cham’s works has been exhibited in various countries abroad including Singapore, Hong Kong, Bali, Australia, France, United Kingdom, Switzerland and Portugal. A lot of his paintings can actually be found in private collections across 40 countries. As I’ve mentioned, aside from paintings, he sells shirts as well. This photo above and below are just some of the shirt designs available. 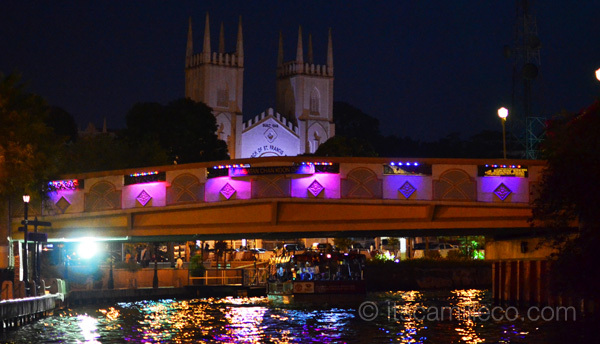 Come nightfall, we rode the Melaka River Cruise. I actually snapped a lot of photos during this cruise. I had such a hard time choosing which ones to post here because everything was so beautiful! The scenery really reminded me of the cruise I rode in Amsterdam. If you look at this photo closely, you’ll see that the walls of this building are actually works of art. And now that we’re done with the cruise, time to eat! Look at that line!! 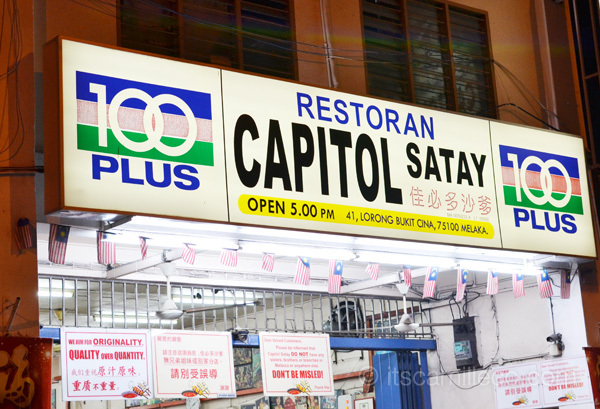 Capitol Satay is such a hit that most people would line up for 3 hours just to eat here! We actually met the owners and they’re now the 4th generation to run this place. Wow! So what’s so special about it? 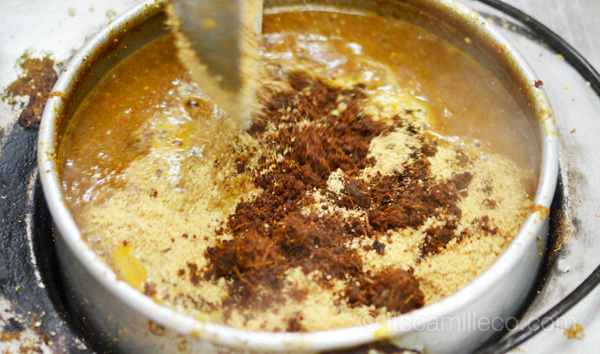 The secret to Capitol Satay’s success is their sauce. This yummy thing! 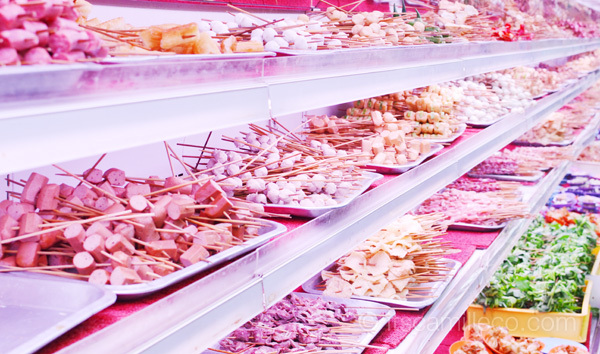 You choose what you want to eat from this selection like how you do at a shabu-shabu. The owners were gracious enough to help us out and got us these. They actually have a small contest running. If you beat the current record of sticks eaten for male and female, dinner is on them! I think for men, it’s at 200+ sticks already. They say most people come here for the large prawns. Oooooh lucky us! So after selecting what you want to eat, you dip the sticks in this bowl and wait for them to cook. I promise you it’s worth the wait! 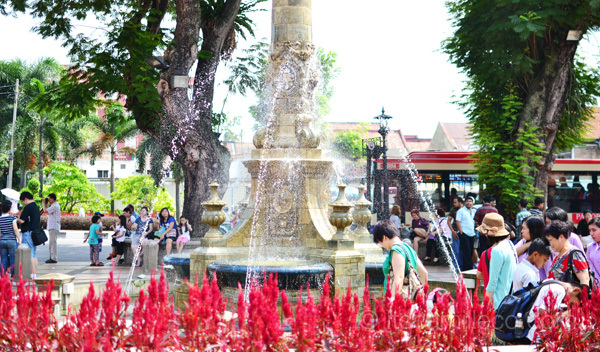 I mean we were fortunate we didn’t have to but if I were to go back to Malacca, I’d definitely take my family here! I’ve never tasted anything like it. 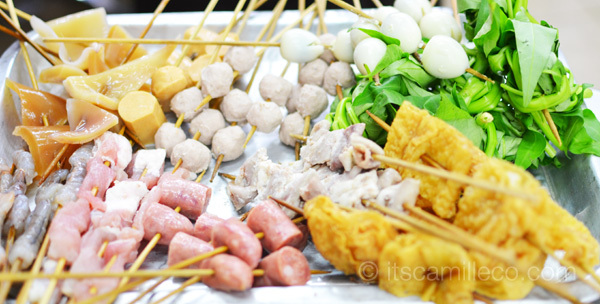 Best satay ever! So now that our stomachs were more than satisfied, we continued our sightseeing. 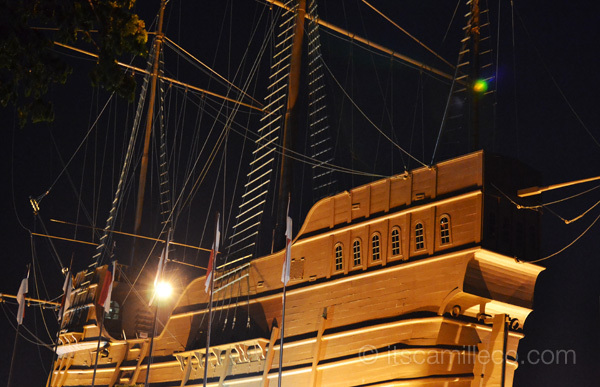 This replica of the Portuguese Man o War ship is actually a maritime museum. 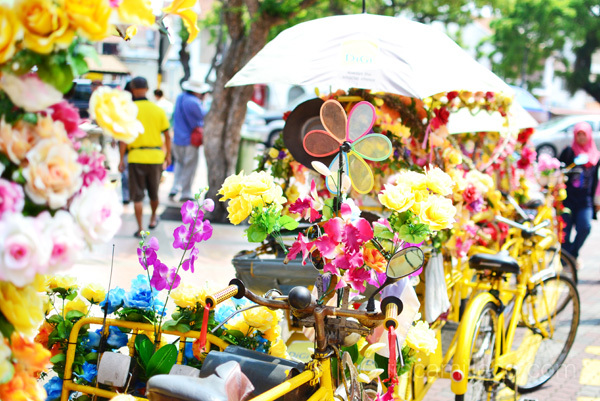 While walking around, you won’t miss these Malacca tricycles. They are even more beautiful at night! And did I mention that they play the most random music too? I swear! From the Backstreet Boys to local Malay music to Bieber! Haha! 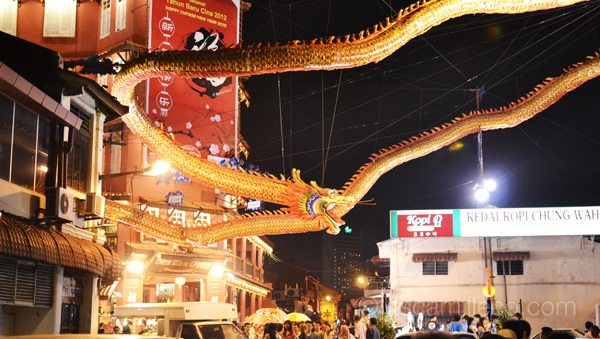 What sightseeing would be complete without a stroll down Jonker Street for its night market. 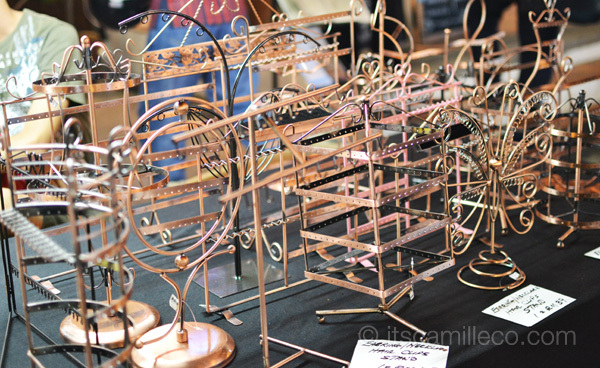 You’ll find a lot of different items for sale here–from lights to antiques to clothes to just about anything! 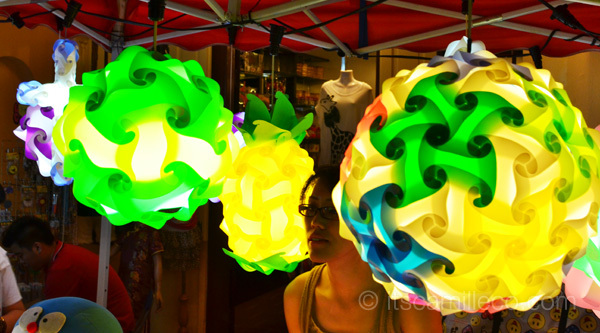 During the day, there are still a few of the street vendors set-up along Jonker Street like this one. 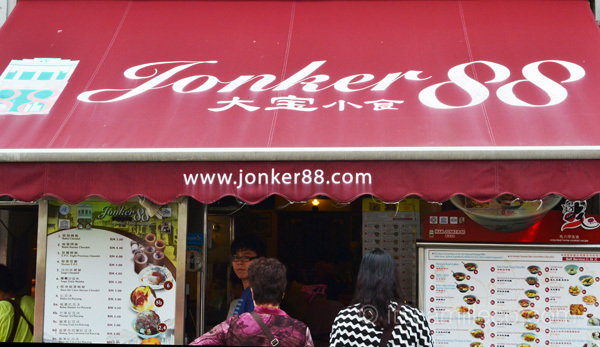 There’s also a restaurant worth visiting here called Jonker 88. 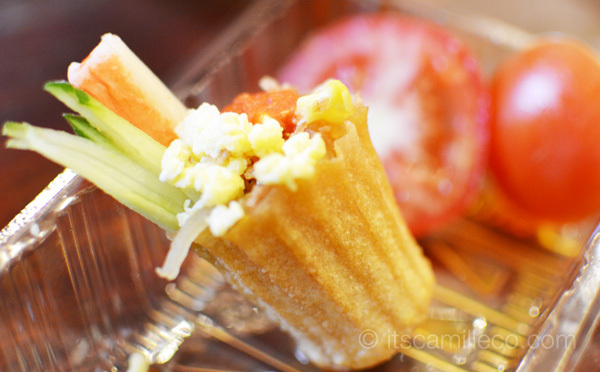 I forget what this is called but it’s soooooooo yummy! These too! They’re their bestsellers along with the desserts below. These are available in a variety of flavors. 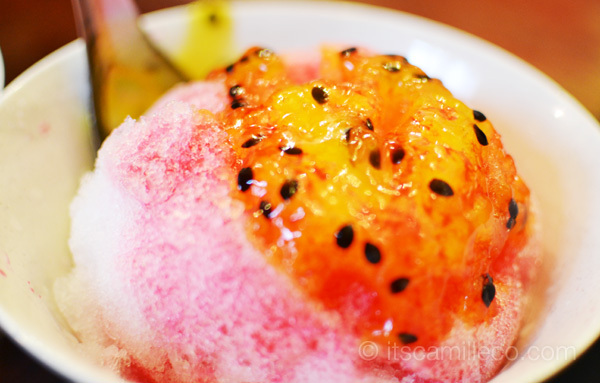 This one is passion fruit. I got this one. I think it’s Nata de Coco. Needless to say, my stomach was satisfied yet again! 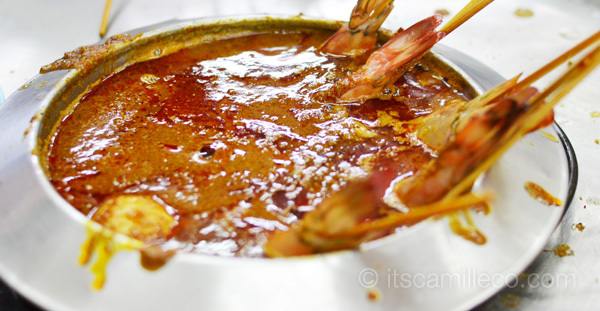 Malacca dining is awesome! No wonder Singaporeans and citizens from KL travel to Malacca just to dine! I wish I can easily just drive my car from Manila to Malacca too! 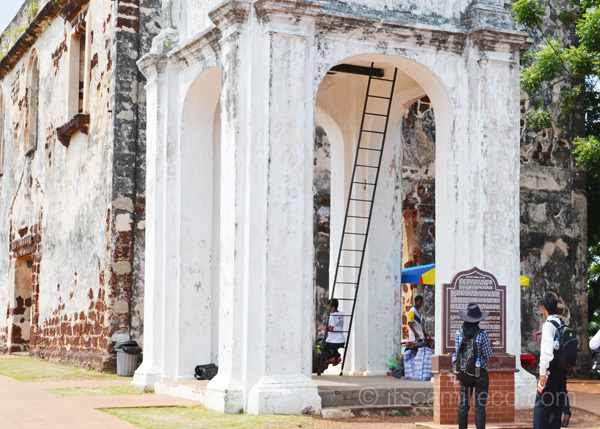 My fiancee is from Malacca so I’m there almost every other month…. You have to come back again to try all the other food you missed haha.. I wanted to too haha! Thanks Isa! You should! 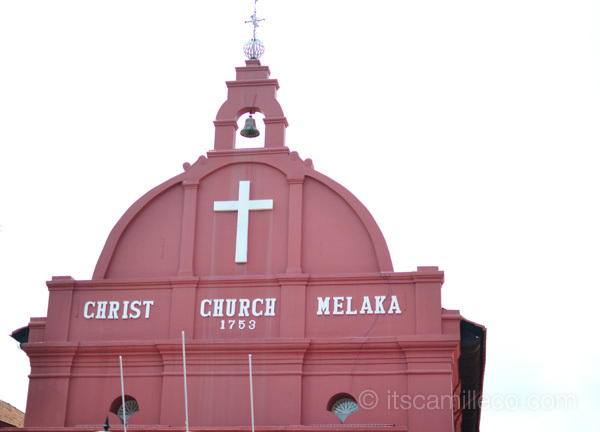 Visit KL then maybe a day trip to Malacca! Awww thanks Nhiks! My pleasure! 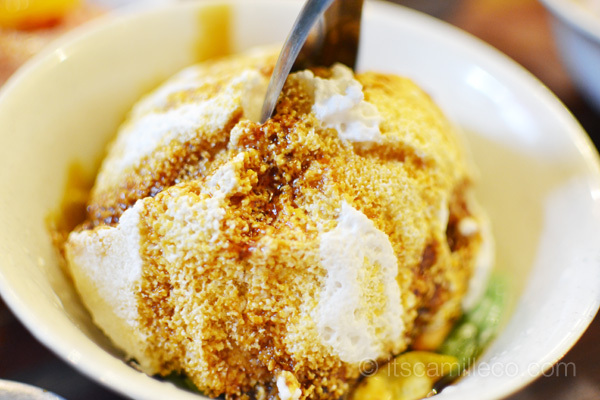 Hi I’m from Malacca, the last picture of this post is called Cendol, oh it makes me want to eat this during hot weather. 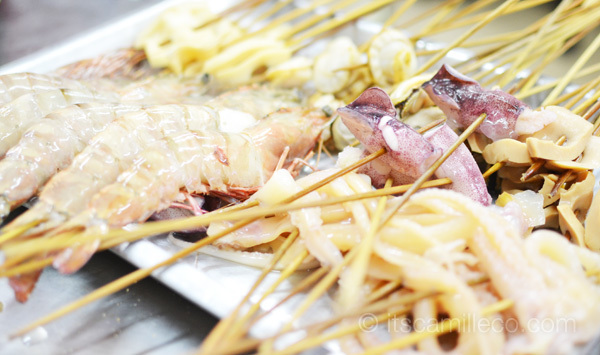 If you have a chance to come to Malacca again, you can try to go to Portuguese Settlement for their seafood along the sea. And also the chicken ball rice too at Jonker street. 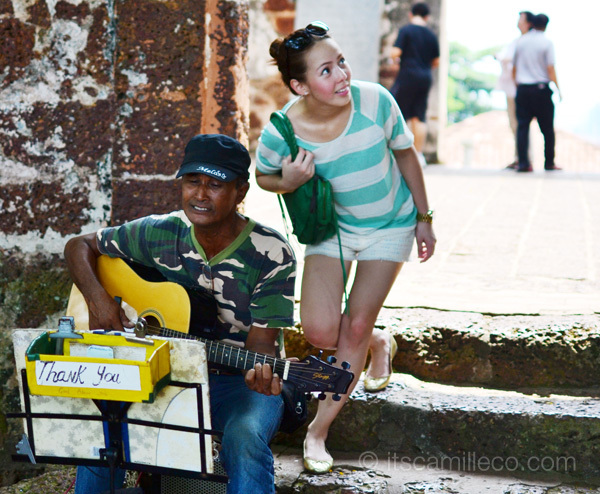 Glad you enjoy Malacca so much. There you go! Cendol!!!! Shucks your food suggestions make me want to go back right now! Thanks Charisse! You should! Malaysia is so nice! Do visit Penang, Malaysia if you had the chance to go to my country again. 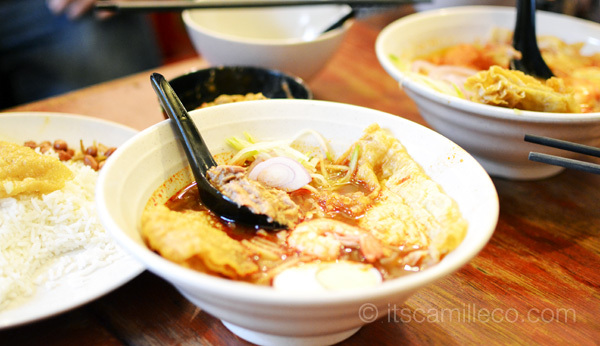 Penang is the food heaven in Malaysia. your blog was so educational. Hi Camille! Lovely photos! What camera do you use? And do you still edit them? 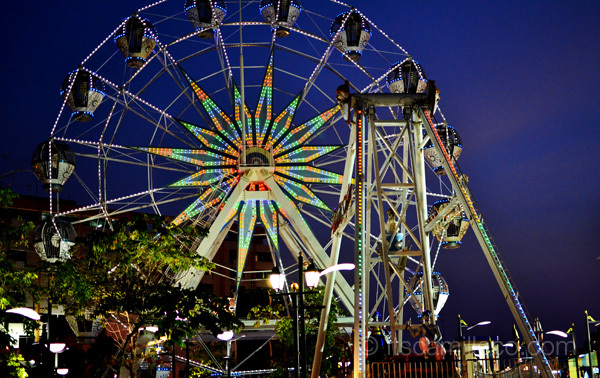 Where I’m quite sure my mum would surely enjoy KL, Malacca seems to be more up my alley. 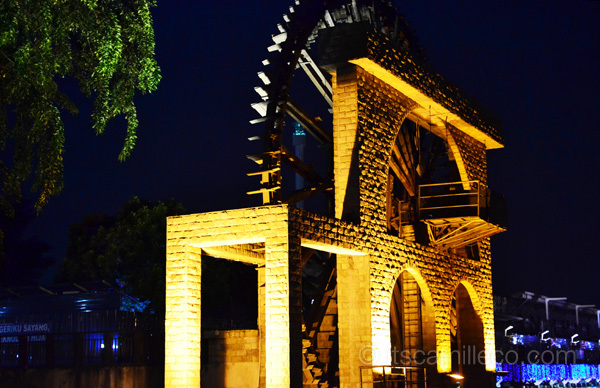 The place that just overflows with culture and history. And it seems to be quite pedestrian friendly as well. And those glorious food!! 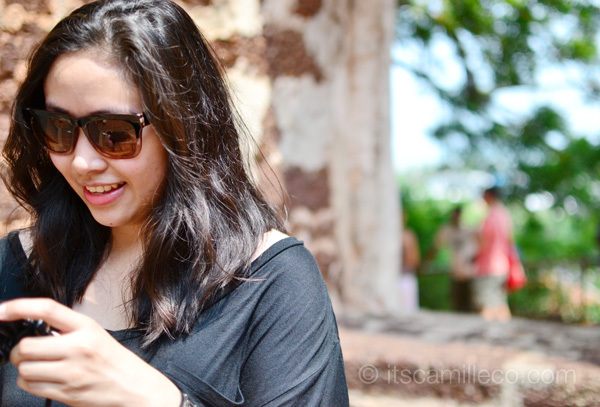 I wish all your travel blog posts will be as rich as this! More photos and more kwento! haha! I think I’m loving what you wore here (You look beautiful in that photo! SO FRESH!). Will you blog about your outfit? I just wonder, why don’t you always blog about what you wear? So nice! Wish I could visit there too. 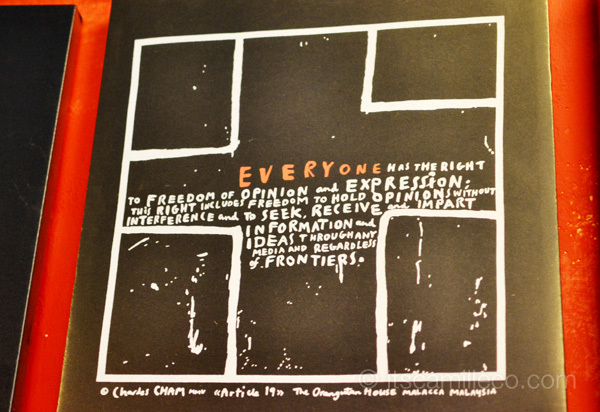 :) Love the shirts and paintings of Charlie Cham. And he’s so nice too! Nice review. I suddenly miss Malacca. Had really fun going around there with my friends last year. It’s a small place so walking around was easy. The breeze is cool, feels very relaxing. The place is rich in history. Btw, they call the colorful tricycle “trishaw”. And yes, the trishaw’s sounds are very updated and young haha. About the food, aside from their authentic food, there was this really delicious donut shop at the nearest mall to Hotel Equatorial (Big Apple Donuts). Really a must-try. Even bought a box of 12 because I can’t get enough of one hahaha. Ooooh wow! Trishaw! Now I know :) I wish I knew about the donuts earlier! your posted reminds me about my dancing tour 3 years ago in Melacca..
Wow a dancing tour! That must’ve been cool!